That's right: It's almost time to pull out your cocktail dresses and mingle with some of the city's coolest creatives — tickets for this year's Artini celebration at the Corcoran just went on sale. The sixth annual soiree, hosted by the gallery's 1869 Society, will spotlight cocktails created by eight of the District’s top mixologists, all inspired by works in the Corcoran collection. This year's roster features some of the District's most buzzed-about venues: Ambar, Bandolero, Daikaya, The Gibson, Jack Rose, The Passenger, P.O.V., and Zentan. Beginning March 1, there’ll be plenty of events leading up to the big bash, including feature nights at participating venues where you can sample the drinks and participate in raffles for gift certificates and VIP tickets. You’ll also be able to cast your vote for your favorite concoction. 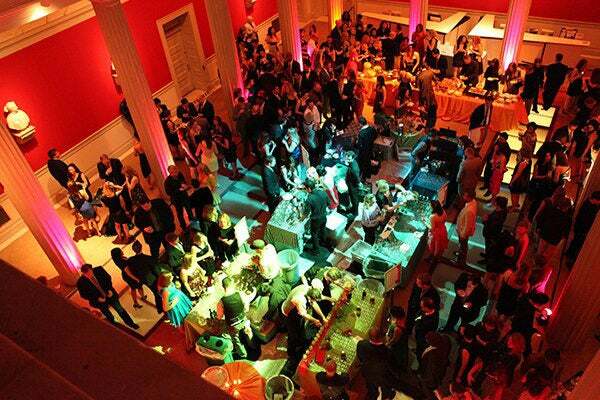 The $125 general admission ticket gets you tastings of all eight cocktails, hors d’oeuvres, desserts, music, and dancing — plus, you'll be sipping for a cause, since all proceeds benefit NOW at the Corcoran, the Gallery’s contemporary art program for emerging and mid-career artists. Now that's some philanthropy we can get behind. When: Friday, March 22, from 8:30 p.m. to midnight. Where: Corcoran Gallery of Art, 500 17th Street NW; 202-639-1700. Tickets are $125 to $200.